Sitting out of his Preston Hire race car has boosted Lee Holdsworth’s hopes for the enduros, with co-driver Karl Reindler set to get plenty of miles at Sydney Motorsport Park this weekend. Holdsworth fractured his pelvis, ribs and knee in a nasty 95g accident in Darwin in June and did his first kilometres at a Supercars event yesterday, steering for a handful of laps in both practice sessions yesterday. He was pleased with how his body pulled up yesterday and is certain he’ll be ready for Sandown next month. “Before the crash the aim was to get some solid top 10s but now my expectations have gone higher that what they were before,” Holdsworth said yesterday. “Now I would like to see some top fives, but that’s because I’m so determined. “Watching at home it kills you – and James [Courtney] can back me there. This is Reindler’s first even replacing Holdsworth, with young gun Kurt Kostecki standing in at Townsville and Queensland Raceway, bringing his own NewGen Supercar. The Preston Hire Racing team debuts its own new car for this event after building up the Triple Eight-produced chassis in the break from the last round. Holdsworth has been working on his recovery and now he’s almost at full health, is determined to make an impact on the track upon his return. “Sitting on the sidelines you realise how lucky you are to be sitting in this position, to be driving for a living and make the most of it, so coming back I want to make the most of the second half of my career and go out there and get some results,” he said. 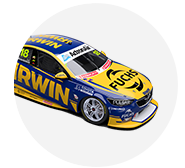 Holdsworth has plummeted to 23rd in the Championship standings missing four races, as well as the Darwin Sunday race he didn’t finish, but didn’t seem worried about the long-term impact on his career as he negotiates for a new deal for next year. “Obviously you don’t feel completely comfortable until you have a contract signed and the intention was that we were always going to sign after Darwin – but with what happened there, there was other priorities ahead of that,” he said. 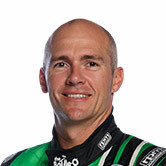 Reindler was 24th and 23rd in yesterday’s practice sessions.